created by those who know that’s never the case. marked the first of us for obsolescence. to talk back, to dispute. a mural of the known world. backs against their painted paradise. had been a long letting go. the whole thing will fall apart, they warned. 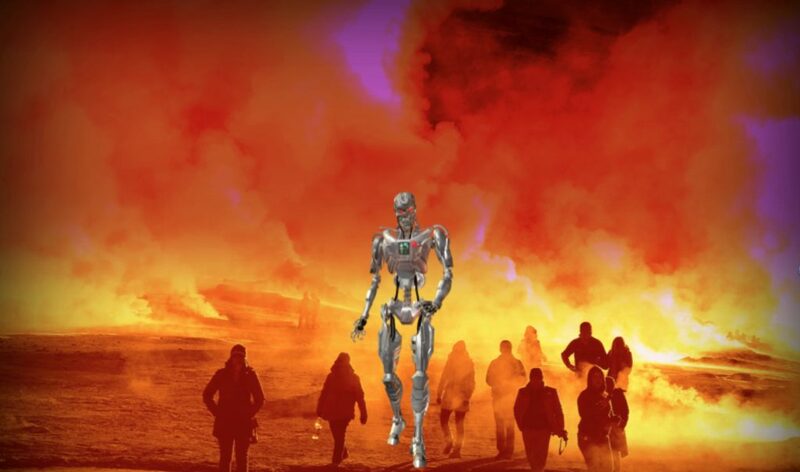 Editor’s Notes: Wallpaper from “The Terminator: Future Shock Skynet” is combined with “Survivors of the Apocalypse” by Kevin Rheese (Flickr) to create this post apocalyptic horror.